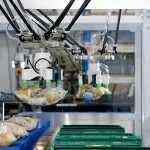 According to a market research report by Association for Packaging and Processing Technologies entitled Trends in Food Processing Operations, half of the companies surveyed will be increasing their level of automation over the next three to five years. Despite this, many manufacturers admit they don’t know where to start. 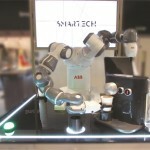 Here, Nigel Smith, CEO of industrial robot specialist, TM Robotics, explores how automation can benefit your facility. Alongside a willingness to adapt, many manufacturers have experienced an increase in the cost of raw material and energy, as well as pressure from retailers for cheaper, faster production. As a result, installing automation equipment is now considered to be the only way forward, but the return on investment (ROI) must be noticeably worthwhile. When selecting the type of machine to introduce to your facility, considering the actual needs of your facility and processes will result in a more cost effective and appropriate machine being installed, boosting your potential ROI. Imagine, for instance, that you are producing a ready-to-cook roast dinner meal. This product requires multiple elements to come together in one aluminium tray, be visually appealing to customers and be consistent in weight and appearance. 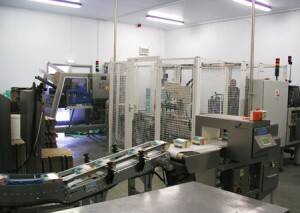 In a facility making this product, machinery needs to pick up and move a wide range of products, from small carrot batons and broccoli florets to potatoes and meat portions. 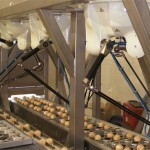 Using a machine that can be programmed to pick, move and place items means that you are less likely to have to discard damaged products, helping to reduce unnecessary expenditure. 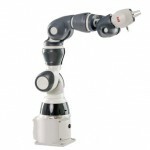 Selective Compliant Articulated Robot Arm (SCARA) machines, like those from TM Robotics, use a parallel-axis joint layout. 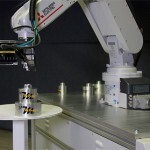 This means the robot arms can move on an X-Y axis but is rigid in the Z direction, which is ideal for picking and placing. Aside from selecting the right machine and software, exploring the ancillary options for your chosen machine is vital to maximising ROI. 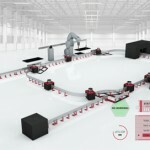 While human workers can look at a series of ingredients and establish the best way to pick up items based on their shape, position and material, fully automating these actions haven’t been possible until recently. Incorporating 3D vision systems will enable the examination of products as well as allowing the machine to determine the order in which they are picked up and assess the best position to place them in the primary packaging. Going beyond human capabilities, this type of software can also view and ascertain whether product labels are fixed correctly, include the right product information and help you meet industry regulations in the blink of an eye. To go a step further, even if you have the right software in place to automate this pick and place action, without the right gripper, your processing line can still damage your profit margins. Using grippers that move or pick up delicate items, like the roast dinner carrot batons, with too much force can result in high volumes of wasted product. In this case, opting for a machine that is capable of adapting the force used to lift a product based on the data being processed by sensors and software will result in reduced waste and a perfect end product. 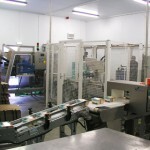 As revealed in the 2017 Food and Drink Industry Economic contribution and growth opportunities report, 73 per cent of food and drink manufacturers are engaged in automating manufacturing processes, while 46 per cent are engaged in warehouse and logistics automation. 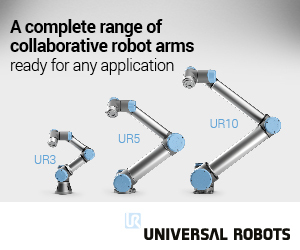 With significant developments transforming how facilities function and a clear focus on revolutionising the industry, its important to not assume that all robots are made the same and that those with fancy features and a hefty price tag will leave you with a problem-free facility. Sometimes, taking the time to assess exactly what you are looking to achieve from the investment can guide you to a simpler and cheaper solution. 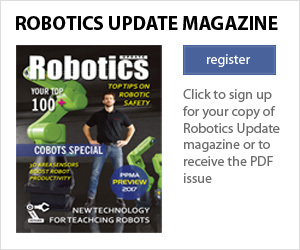 Robotics Update is the online magazine for industrial robots and automation equipment, where users from a multitude of industries can find information about products and systems, and read comment, case studies and technical articles. Information is sourced from the leading players in the industry, and content is updated daily.